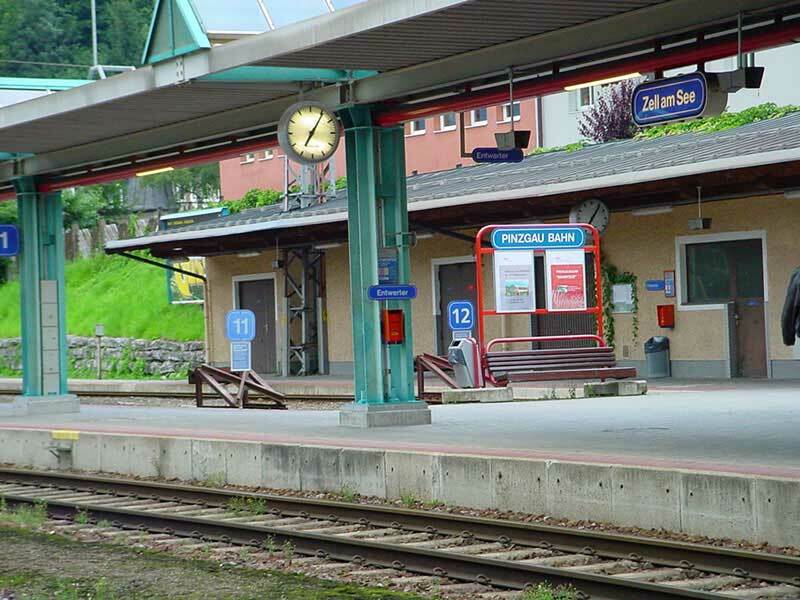 ÖBB Zell Am See station, August 2002. 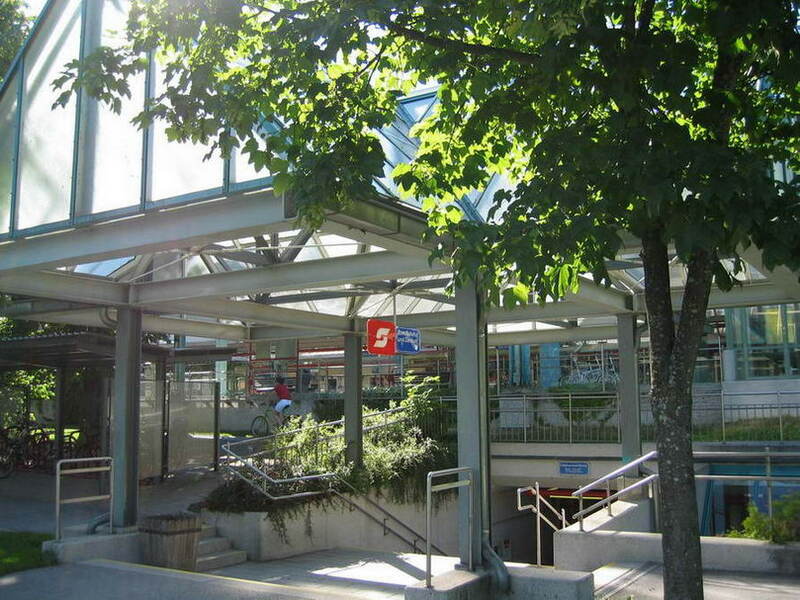 ÖBB Zell Am See station - terminus of narrow gauge "Pinzgau Bahn" line, August 2002. 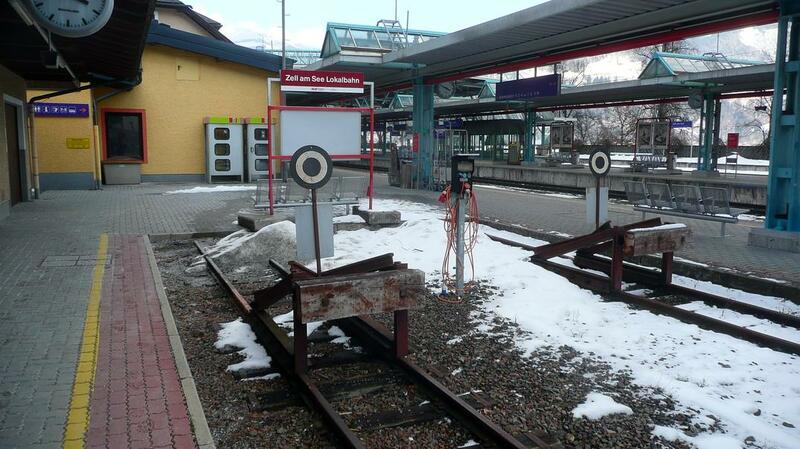 Stazione di Zell am See. Vagone passeggeri della linea a scartamento ridotto per Mittersill. 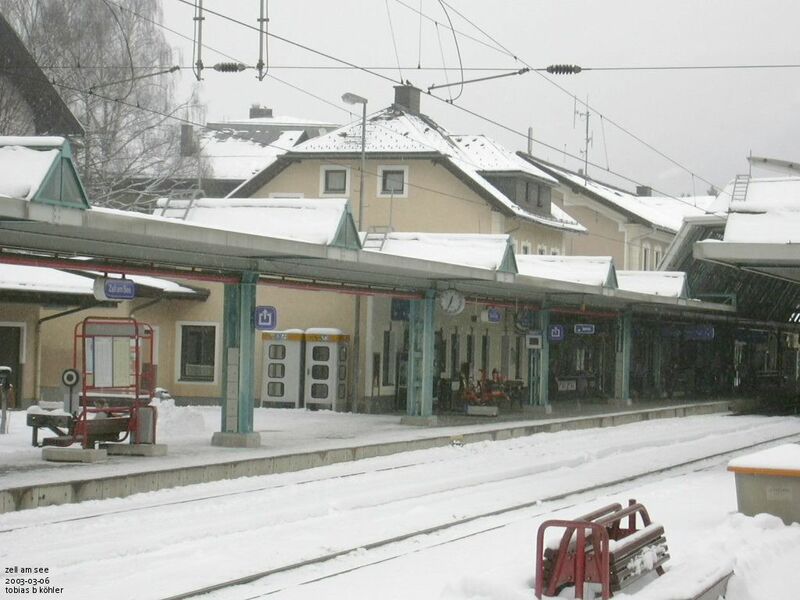 Zell am See station, passengers car of the narrow-gauge line to Mittersill. 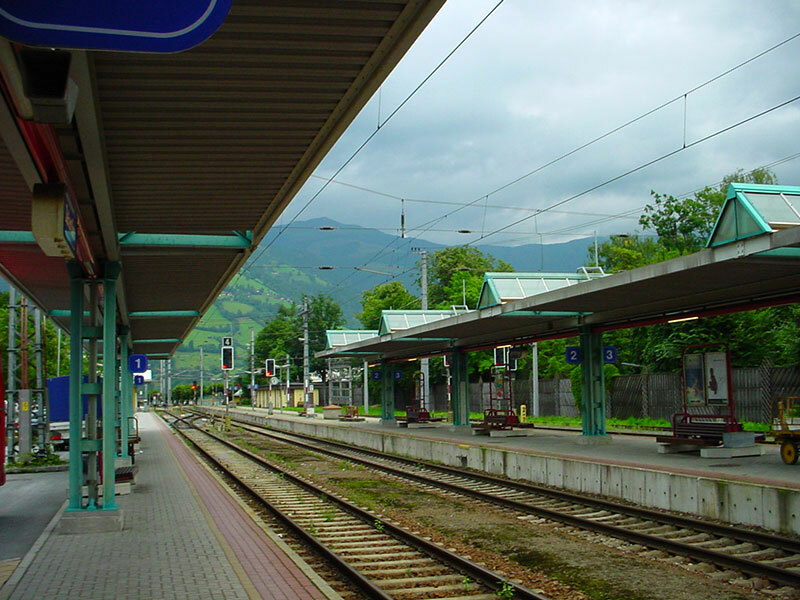 Zell am See station. 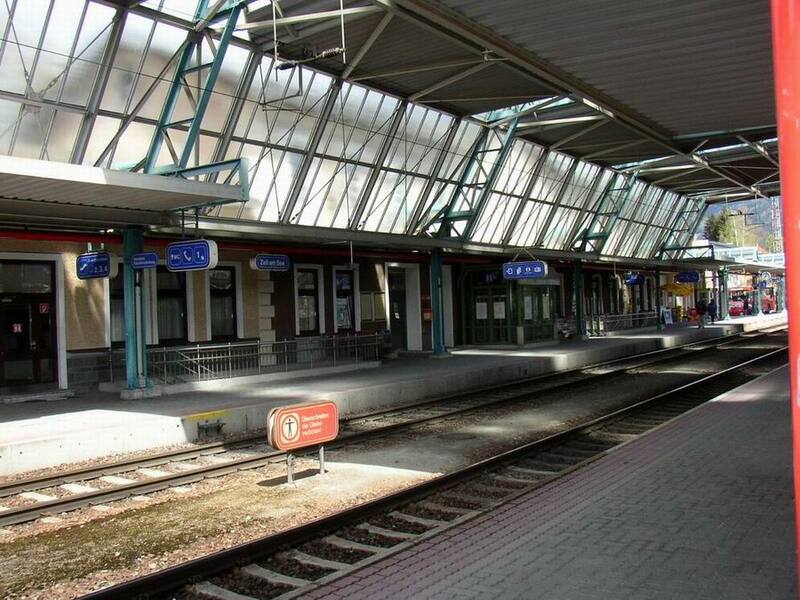 This is one of very few Austrian stations with a "platform hall" - even though the roof is very short, as you can see. 2010-03-07. ÖBB station Zell am See. 2003-03-06. 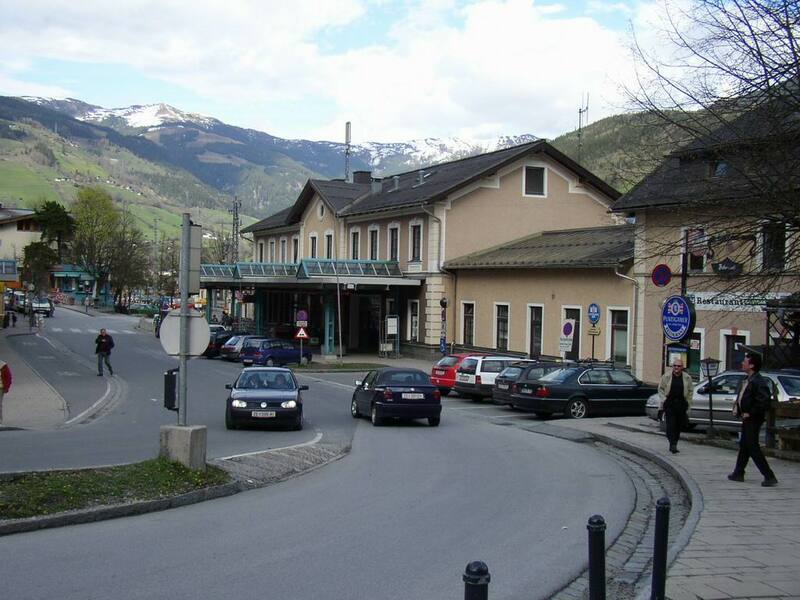 Zell am See station. 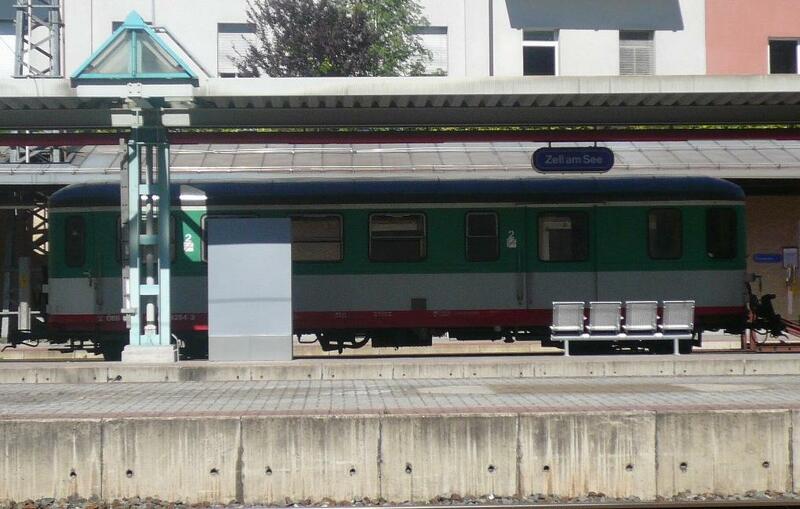 The narrow gauge line (operated by SLB) has two terminal platforms here. 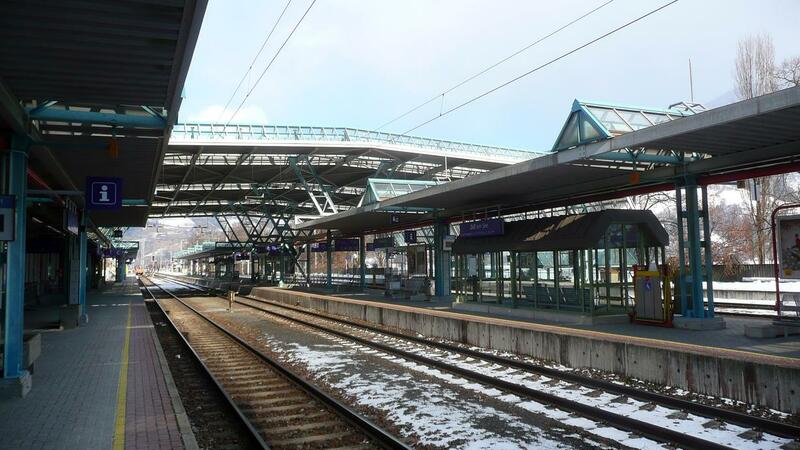 All sidings and maintenance facilities for rolling stock are in the next station. 2010-03-07.